Events will be posted as soon as I receive the information. Again this year there will be educational workshops organized by Frances Macdonnell (Education Committee). Dates for these workshops through the year will be planned when it is established how many members are interested in participating. To express interest or for further information, please e-mail Frances Macdonnell, or call 613-726-7984. The main centre programme will also include a number of educational events. Workshops organized by the Education Committee are shown with a green title as above, and green bar down the side as in this text. Recital by Ben Mackey, Principal Organist and Director of Music at Hobart Cathedral. St. Bartholomew's Anglican Church is sponsoring the Organ Scholar from Durham University, England, to visit Ottawa for ten days in September. Ben Mackey, B.Mus., M.Mus., ARCO, LCTL, has just finished an M.Mus. degree at Durham University in England and is on his way to his new appointment as Organist of Hobart Cathedral, Tasmania, Australia, effective October 1, 2018. An Associate of the Royal College of Organists and a Licentiate of Trinity College, London, he is the recipient of the inaugural Ramsay Burn Music Scholarship at Durham University, U.K. Joan Ramsay Burn and Chris Burn are members of St Bartholomew’s congregation. In addition to his Ottawa concert, Ben will have a week of organ lessons in Ottawa, Montréal and Kingston, organized by Frances Macdonnell. The RCCO Ottawa Centre is helping to facilitate this Scholarship. 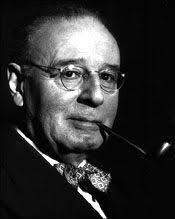 The September 23 programme will include works by J. S. Bach, Paul Hindemith, Kenneth Leighton and Francis Pott. Join us in a trubute to Healey Willan which will feature Willan's organ, choral music and hymns. The event will feature the St. Barnabas Choir conducted by Wesley Warren and organists Wesley Warren, Sondra Goldsmith Proctor, Donald Russell, and Robert Jones. Please tell your friends about this event. Entrance by donation which will go toward scholarships. Please help advertise this event by printing and posting this poster. 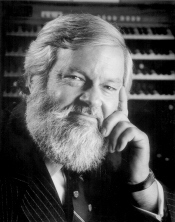 Giles will talk about Healey Willan and his influence on Canadian Church Music and where Giles thinks church music is going. It promised to be an informative, interesting talk with lots of Giles' humour interspersed. Please reserve the date now, and let your clergy know about it too! See you there! You're invited to an Epiphany Party sponsored by the American Guild of Organists, St. Lawrence River Chapter, to be held at the home of David Van Epps and Sondra Goldsmith Proctor on Sunday, January 6, 2019, in Canton, New York beginning about 3:00 pm. Both the Ottawa Centre and the St. Lawrence Chapter will provide some entertainment. (You may volunteer!) There will be ample opportunity to meet new friends and share in the festivities. Car pooling is advised. Please be certain that you have your passport. To RSVP, please email Sondra Goldsmith Proctor. Sondra will then provide instructions for getting there. You will not go home hungry! To kick off the new year in style, the Ottawa Centre is offering a special treat: a hands-on experience designed especially for kids. At 10:00 a.m. on January 12th, Kanata United Church will host an OrgelkidsCAN event that gives kids the opportunity not only see and learn how a pipe organ works but to do so by building one themselves and then playing it. They'll even be able to explain it to their parents and friends. The RCCO's OrgelkidsCAN Educational Organ Project is a national outreach program designed to offer children in grades 3-4 an up-close, hands-on encounter with a real working pipe organ scaled to their size. Guided by an educational syllabus and instructions, they learn about mechanics, the movement of air, sound and vibration and even the sequence of key presses that produces music. Kids are really sharp and are able to transform a pile of parts into a fully functional organ that they can play, all in about 45 minutes. In the process, they learn and have fun. If you'd like to attend this free event, please register by contacting Josh Zentner-Barrett. We want to ensure that the day's schedule runs smoothly and that everyone has a hands-on opportunity to participate. There'll be plenty of opportunity for adults to watch and to play once the kids are done. Our heartfelt thanks to all the good folks at Kanata United for organizing this amazing event and for their hospitality. We look forward to seeing you there! 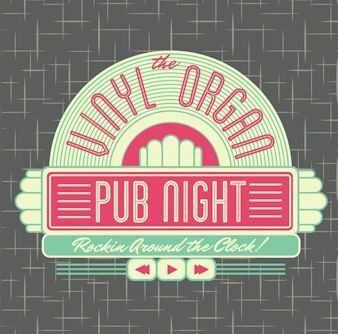 Join us at the Wellington Gastropub in Hintonberg for a listening party of significant organ performances on vinyl. Please bring any favourite vinly organ recordings that you would like to share. This is being co-presented by Tetra Speakers (a locally based but internationally respected speaker company) who provide audiophile-quality equipment for your listening enjoyment. There is a fee of $20 which covers appetizers and one beverage with proceeds going to the Parkdale Food Bank and our Kiwanis Music Festival Organ scholarships. You may also order a dinner if you wish. Come and hear our students in recital on Saturday March 9 at 1:00pm at Paroisse St-François d'Assise! The purpose of this recital is to give students some valuable playing experience, so even beginning students are encouraged to play. Free-will donations will be collected and will go towards the Scholarship for Beginning Organ Students. Come out and support our young organists! Come and encourage two of our young organists who will be participating! Further informationn can be found on the Kiwanis Music Festival website. Coming very quickly is the Great Bach Marathon 3. Each year is a bit different due to the variety of performers that volunteer to play Bach to benefit the Scholarships for Beginning Organists. This year we will open with the winner of the Ottawa Piano Festival. During the afternoon from 1:30 – 6:00 pm we will hear young students playing their first Bach in public. We will hear all ages and skills performing their favorite pieces. We will hear a young cellist exhibit his wonderful skills in a cello suite. As we listen to each performer, many of us will have memories of when we performed the music that we are hearing. It is a special afternoon filled with energy, filled with love for Johann Sebastian Bach and filled with enthusiasm for the scholarship winners who will benefit from this benefit. Many of our former scholarship winners will be participating. As we gather at Woodroffe United Church, let us all thank the church staff and choir, Katarina Jovic, director, for hosting us so graciously throughout the rehearsals the days before the marathon and during the marathon. And, thank you to all of you who volunteer your time to help behind the scenes and support the performers. Each of you makes the difference in the success of the Great Bach Marathon 3. For additional information, email Sondra Goldsmith Proctor or phone (202)841-8712. A poster for this event is available here. The full program schedule with list of music, performers and time can be downloaded here. This is your centre. The executive values the feedback received from members. Come out and voice your opinions on what you would like to have your Centre do. The Annual General Meeting of the Ottawa Centre is our opportunity to conduct the necessary business of the College but also to celebrate the year past and look forward to the coming year. All members are encouraged to attend and participate in decision making and to hear reports of the various convenors and national council representatives. The nominating committee chairman is David LaFranchise. If you would like to serve on the executive, please contact David. Here is a list of performers and the full program.